Wheatfield with Crows is one of Van Gogh's re-created memories of the north, and is believed to be the last work of Van Gogh. In early July of 1890, Van Gogh travelled to Paris, alone, to stay with Theo and his wife Jo. 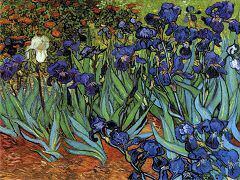 Theo was in poor health and was having financial problems, which was an enormous worry to Van Gogh who was keenly aware of the burden he was on his brother and his family. 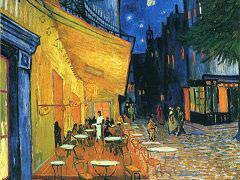 In addition, the baby was ill and Jo too was suffering from exhaustion, Van Gogh returned quickly to Auvers but rapidly became severely depressed. Writing of this picture shortly before his suicide, Van Gogh conveyed something of its tragic mood: "Returning there, I set to work. The brush almost fell from my hands...I had no difficulty in expressing sadness and extreme solitude". 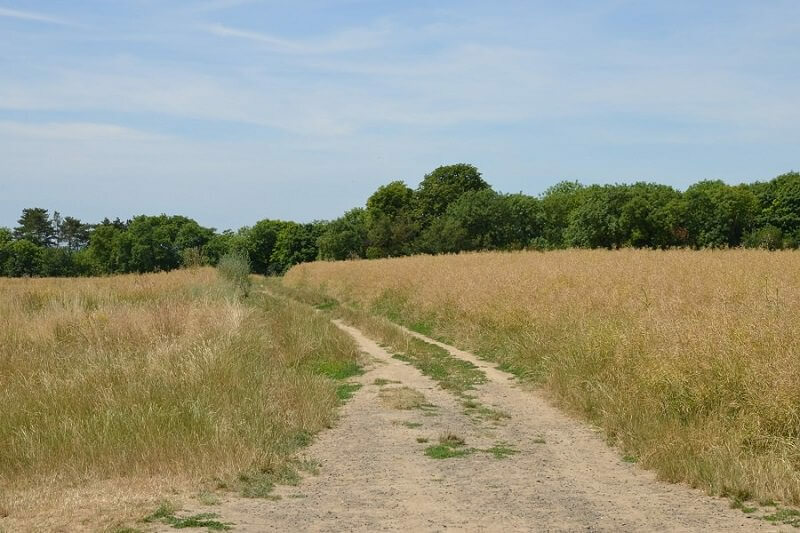 The singular format of the canvas is matched by the vista itself, a field opening out from the foreground by way of three diverging paths. It creates a disquieting situation for the spectator, who is held in doubt before the great horizon and cannot, moreover, reach it on any of the roads before him; these end blindly in the field or run out of the picture. The familiar perspective network of the open field is now inverted; the lines converge toward the foreground from the horizon, as if space had suddenly lost its focus and all things turned aggressively upon the beholder. The blue sky and the yellow fields pull away from each other with disturbing violence; across their boundry, a flock of black crows advances toward the unsteady foreground. And here in this pathetic disarray, we discover a powerful counteraction of the artist. In contrast to the turbulence of the brushwork, the whole space is of a primordial breadth and simplicity. The colors in their frequency have been matched inversely to the largeness and stability of their areas. 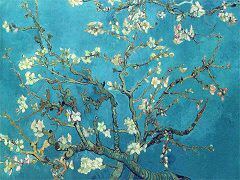 The artist seems to count: one is the unique blue of the sky - unity, breadth, the ultimate resolution; two is the complementary yellow of the divided, unstable masses of growing wheat; three is the red of the diverging roads that lead nowhere; four is the complementary green of the untrodden grass of these roads. As a man in distress counts and enumerates to hold on things securely or to fight a compulsion, Van Gogh in his extremity of anguish creates an arithmetical order to resist disintegration. He makes an intense effort to control, to organize. Elemental contrasts become the essential appearances; and in this simple order, the separated parts are united by echoes of color, without changing the larger forces of the whole. Two green clouds are reflections, however dimmed, of the green of the roads. And in the blue of the sky is a vague pulsation of dark and light that resumes the great unrest of the ground below. But then the time comes when migratory birds fly away. A fit of melancholy - he's got everything he needs, say the children who look after him - but the sky is brooding and stormy, and deep within he is rebelling against his misfortune. 'I am in a cage, I am in a cage, and I've got everything I need, fools! I've got everything I could possibly want! Ah, dear God, freedom - to be a bird like the other birds! A human idler of this variety is just like a bird that idles in the same way." 10 Facts that You Don't Know About "Wheatfield with Crows"
1) The artist shot himself in the very wheat fields he had painted over and over again, wounding himself in the stomach, which led to his death on July 29, 1890. 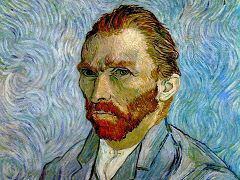 Theo, Van Gogh's brother who had stored the bulk of Vincent's works in Paris, died six months later. 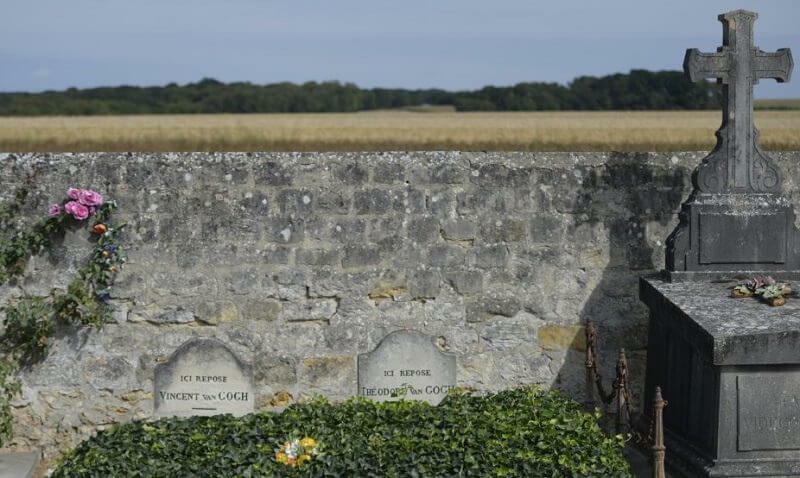 The two brothers were later buried side-by-side in a cemetery overlooking those wheat fields in Auvers-sur-Oise. 2) Perhaps due to the influence of his short-lived ministry studies, Van Gogh's depiction of wheat in his paintings reflects spiritual and secular symbolism. In 1889, the year prior to when he completed "Wheatfield with Crows," the artist wrote that wheat is not only people's primary form of sustenance but is also symbolic the ripening and reaping of human life. Wheat is symbolic of celestial love in the Christian tradition, and to Van Gogh, it also represented the fruits of honest, manual labor. 3) During June and July 1890, the final months Van Gogh was alive, he painted on double-square canvases, which are a combination of two 50 x 100 cm canvases, and "Wheatfield with Crows" is no exception. 4) The luminescence of such later Van Gogh paintings as "Wheatfield with Crows" and Starry Night has a turbulent visual effect that some believe reflects the artist's state of mind during the final months of his life. The luminescent quality of the wheat suggests strong motion while the crows flying randomly above echo and add to the turbulence of the scene. 5) In a July 10, 1890, letter to his brother Theo and sister-in-law, Vincent wrote that his wheat field paintings beneath turbulent skies are meant to express the sadness and extreme loneliness that conveyed what he felt but couldn't put into words. 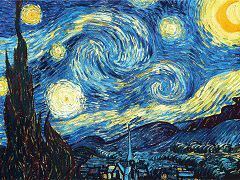 6) Mathematicians have commented on the proximity between the turbulence in Van Gogh's later works and the mathematical principle of hydrodynamic turbulence and the velocity of its flow. This may suggest that the artist took an instinctively scientific approach to his visual expression. 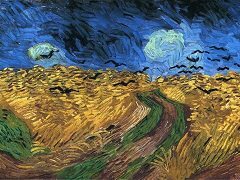 7) In "Wheatfield with Crows", Van Gogh expressed his darkest premonitions. Critics tend fairly unanimously to detect a sense of menace in the dark birds flying from the horizon towards the foreground. 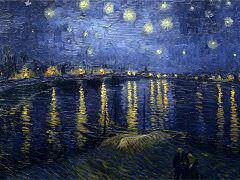 They see the three paths as symbolic of Van Gogh's feeling that he had nowhere to go, no way of escape. The whole mood of darkness, they claim, is reinforced by the stormy sky, which supplies so powerful a contrast to the yellow wheat. 8) Perhaps the most powerful creature within the image is the crows themselves. The crows in the painting represent resurrection, according to art critics, but historically, crows can also be harbingers of bad luck and/or death. Jules Michelet, one of van Gogh's favorite authors, wrote of crows: "They interest themselves in everything, and observe everything. The ancients, who lived far more completely than ourselves in and with nature, found it no small profit to follow, in a hundred obscure things where human experience as yet affords no light, the directions of so prudent and sage a bird." 9) As he stated in a letter in July 1890, Vincent had planned to bring some of his latest work, including the "Wheatfield with Crows," to Paris later to show his brother. He would die before he had the chance. 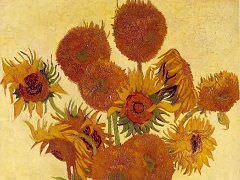 10) "Wheatfield with Crows" is mentioned in a 2010 song by the Shahmen called "Van Gogh's Crows." Clint Mansell recorded his song, "Wheatfield with Crows" on his "Loving Vincent" album, which was released in 2017.